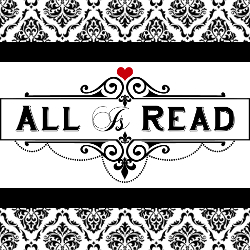 All Is Read : Cover Reveal with A.S. Teague including an EXCLUSIVE EXCERPT & GIVEAWAY!! Cover Reveal with A.S. Teague including an EXCLUSIVE EXCERPT & GIVEAWAY!! Parked beside my car is a truck that’s got to be twice as old as I am and looks like it should have been buried long ago. Bronn hooks a thumb in the rust bucket’s direction and tells me, “Bessie’s seen better days, but I just can’t bring myself to put her out to pasture.” I pull my door open and toss my purse inside, before turning to face him. “Bessie, huh?” He props a hip on her front fender. “Belonged to my dad. When he died, Dani’s mom kept her. Gave her to me.” His face is relaxed, but the pain of his loss is still in his eyes, and I’ve come to notice that it’s a look that’s always there. Even when he’s laughing, it doesn’t erase the perpetual sadness that he carries with him. It’s a sadness that I carry with me as well. “When I was a kid, my dad took me to the beach once.” Bronn’s brows knit and I hurry to continue my story. “It was cold that morning, early spring, the breeze causing goosebumps to take up permanent residence on my arms. I remember Daddy taking his sweat shirt off and putting it on me. The thing swamped me.” I pause and laugh, remembering how the arms of the hoodie had drug the ground and how daddy had belly laughed at the sight before rolling them up. “Anyway, we searched for shark’s teeth that morning. It was too cold to swim, too cold to play in the sand. But I’d had a fascination with the predators of the sea, a newfound one, and Daddy had been determined that we were going to find a great white’s full jaw, I think.” I’d been staring up at the sky, but I glanced at Bronn to see his face rapt with attention, his expression intense. “We looked and looked until my eyes went cross. But, we didn’t have any luck.” I can’t tear my gaze away from Bronn’s, even though the way he’s studying me is a little unnerving. “We found all kinds of amazing shells, rocks that were smooth from being tumbled by the waves, crab shells that must have been eaten by gulls. But nothing that came from Jaw’s mouth.” I shrug, and smile. Bronn smiles back. His face finally relaxes, but his eyes are still full of emotion. “I remember Daddy was so disappointed. But I wasn’t. I’d spent the morning with my favorite person in the world. I may have been freezing the whole time, my face chapped from with wind and sand whipping in it, my hair a tangled mess that took mama an hour to brush, but it was the best day.” The half-smile that I’d been sporting while lost in the memory fades. “That was my last happy memory with him. He died not long after that.” I swallow hard, determined not to cry. The memory is bittersweet, but it’s still sweet. That’s the thing about memories. The same exact memory can be happy or sad, depending on how you choose to remember it. And I choose to remember the sheer joy I’d felt that day, not the crushing sadness that it was the last time I’d felt that way. I clear the emotion from my throat. “Anyway, I don’t know why I shared that. Just, maybe, to tell you, that I understand holding on to something because it has sentimental value.” I nod at his truck, “Bessie may not be worth any money, but she’s worth her weight in gold if she makes you happy.” My lips quiver as I offer a smile. Bronn may think that we come from different worlds, and maybe we do. Nana would have killed me dead if I had ever come home from a date in a truck like his. But there’s sadness and loss everywhere, no matter how much money you have. And that common thread binds us together, whether Bronn realizes it or not.